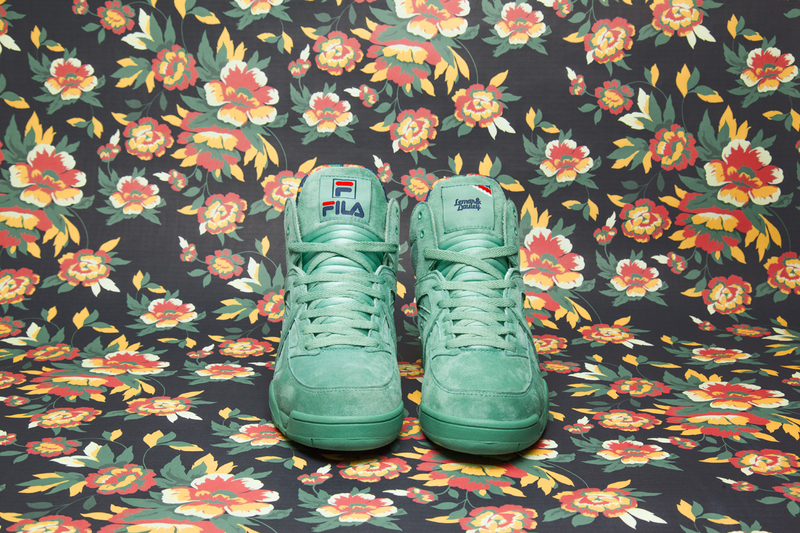 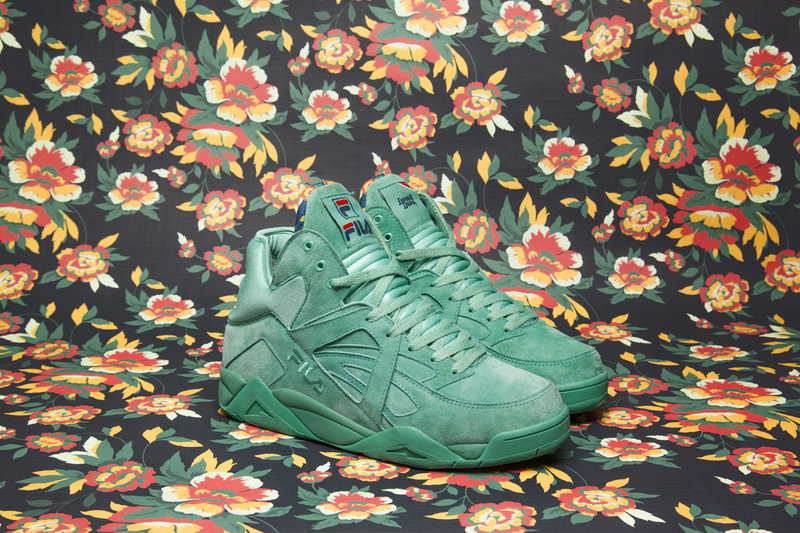 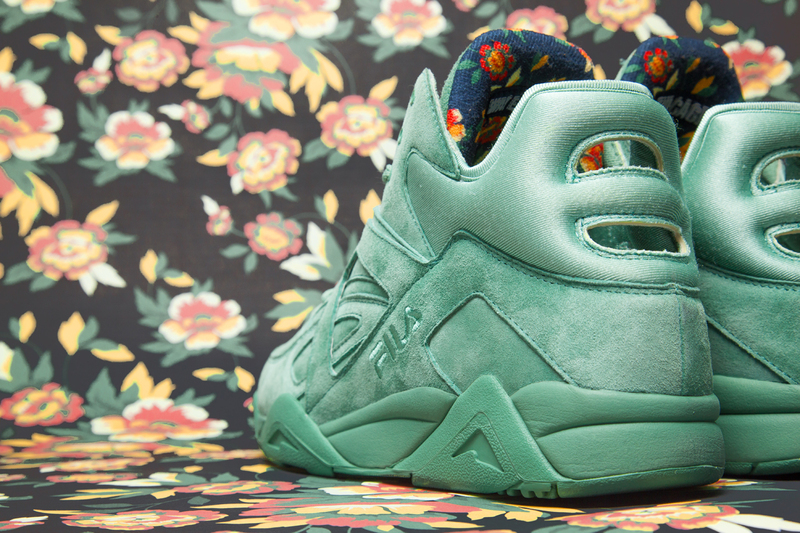 Streetwear label Lemar and Dauley team up with FILA for a minty new version of the Cage. 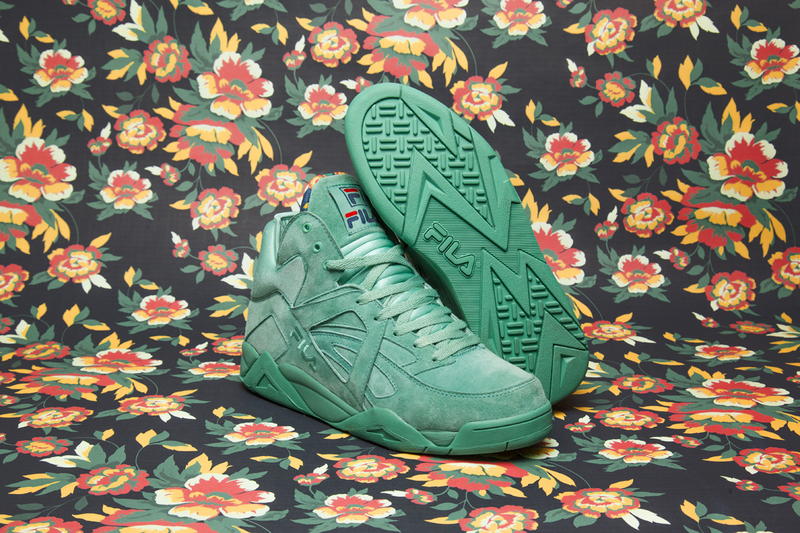 This premium "Mojito" edition of the classic street ball shoe features a pig skin suede in an all-over mint green colorway, inspired by the popular East Coast summer drink. 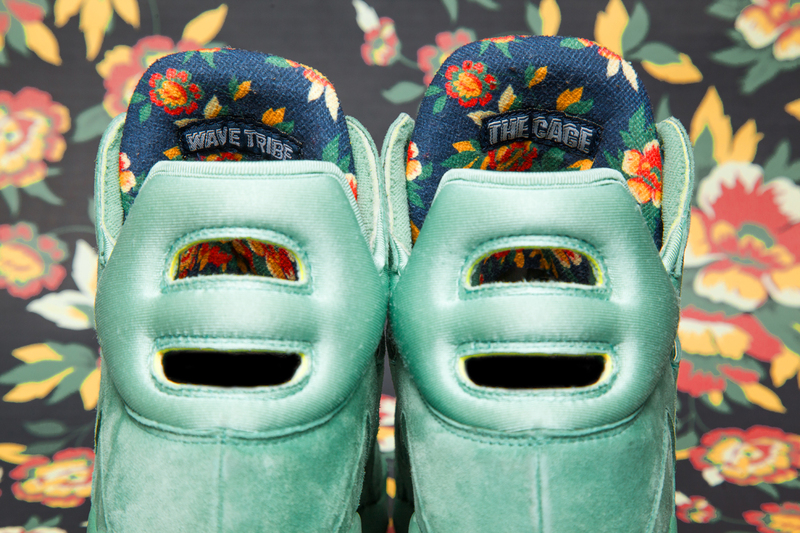 On the interior, you'll find L&D's needlepoint floral pattern far an added bit of summer time flare. 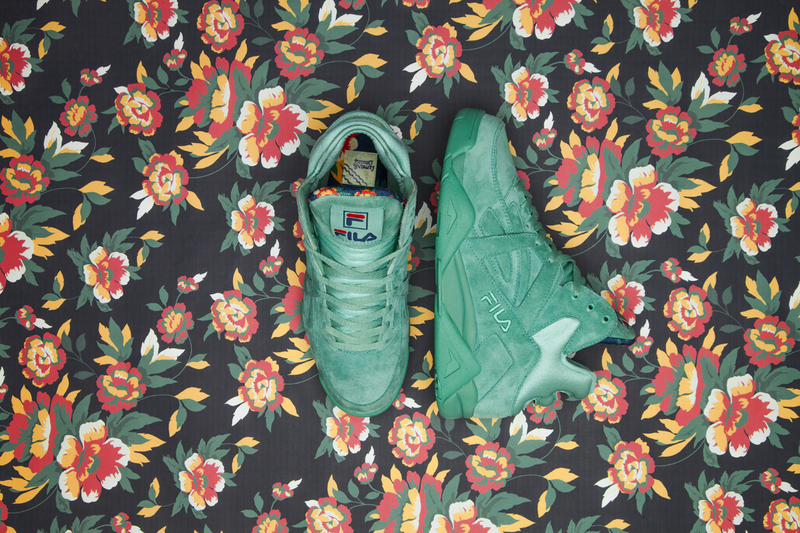 The collaboration will also come packaged with a special hang tag and box. 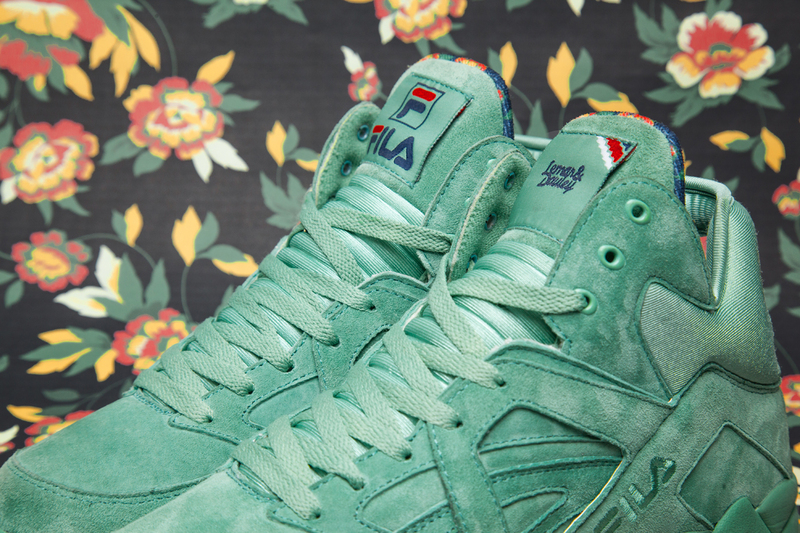 The Lemar and Dauley x Fila Cage "Mojito" will be available Friday, June 6 exclusively on FILA.com and Lemarand Dauley92.com beginning at 12 Noon EST.